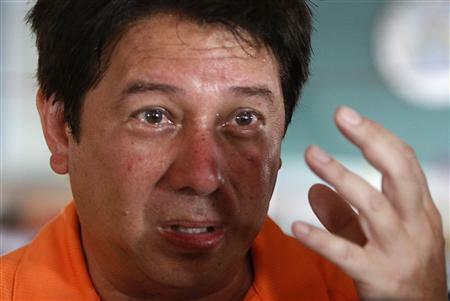 In his article today, Beltran said the video was recorded in November 14, six days after Super typhoon Yolanda hit Eastern Visayas, by someone from the Romualdez camp. The writer claimed that he first learned of the video in November 26. “I actually wanted to stay out of the squabble except when it reached a point when Mar vehemently denied asking for a letter of resignation and anyone who claims such was a liar,” Beltran explained. Apparently, it’s Roxas who understood that there can be political implications if the Aquino administration is seen as moving against the city administration. As we have noted in a previous post that has since gone viral, President Benigno Aquino III and Mayor Romualdez has been at loggerheads since the election season. This entry was posted on Wednesday, December 11th, 2013 at 9:28 am	and tagged with alfred romualdez noynoy aquino, cito beltran mar roxas video, mar roxas alfred romualdez, mar roxas scandal, mar roxas tacloban, romualdez ka aquino ang presidente, roxas romualdez meeting, roxas romualdez video and posted in commentary, philippines, politics. You can follow any responses to this entry through the RSS 2.0 feed. The squabble could not have happened if two matured individuals set aside their party affiliations and pride; and humbly focus on the tasks at hand. Question is, was there anyone matured in this scene? One is observably tensed while the other seem to be poised for an attack. Given the organized media reports (which can be skewed on one side depending on the reporter’s inclination) and what can be read in the anarchic social network, it’s still difficult to assess which one (or maybe both) is on for the gain or up ahead. It’s obvious Mar’s comments are like coming from a disgruntled female kid while Alfred is a boy crying to his mama. Funny to watch them and waste one’s time on to the delight of the educated masses in social media. the thing about this is that Roxas lied, out and out lied, when he denied ever asking for that letter. How are we supposed to trust his words, and that of the government’s? And to make it a political issue, the giving of aid to those who have been affected by the Yolanda. How awful. It’s very sad.